Mukunda is one among the 1008 names of Lord Vishnu. 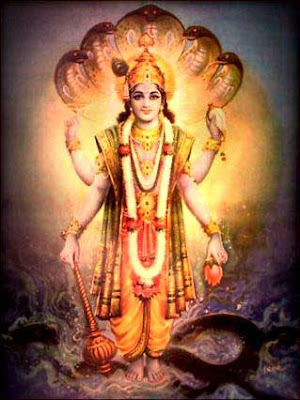 Mukunda means ‘liberator.’ As Mukund or Mukunda, Lord Vishnu saves a devotee from the endless cycle of birth and death and blesses him with Moksha. Mukunda also means passionless as per some scholars. This means that he is devoid of all the Gunas. Today Mukunda is also a term used to refer to Krishna Avatar of Vishnu. 'Jaya Krishna Mukunda Murare' a famous prayer in Hinduism was sung by Sage Narada, praising Lord Vishnu. A famous temple dedicated to Mukunda form of Vishnu is the Nava Mukunda Vishnu temple at Thirunavaya, Malappuram District, Kerala.